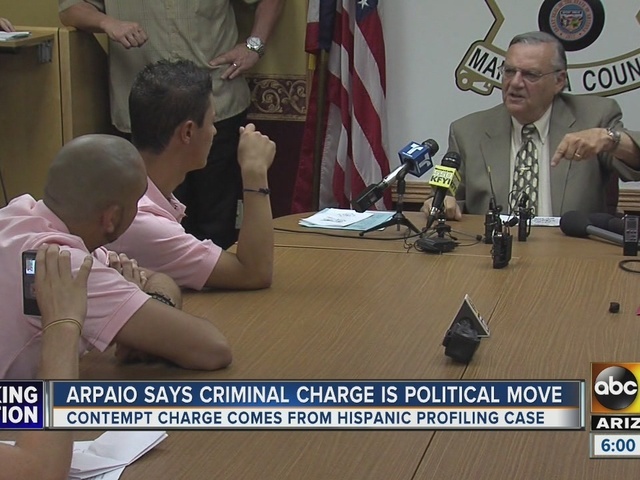 Federal prosecutors say they will file criminal contempt-of-court charges against Maricopa (Arizona) County Sheriff Joe Arpaio for disobeying orders to stop his immigration patrols. 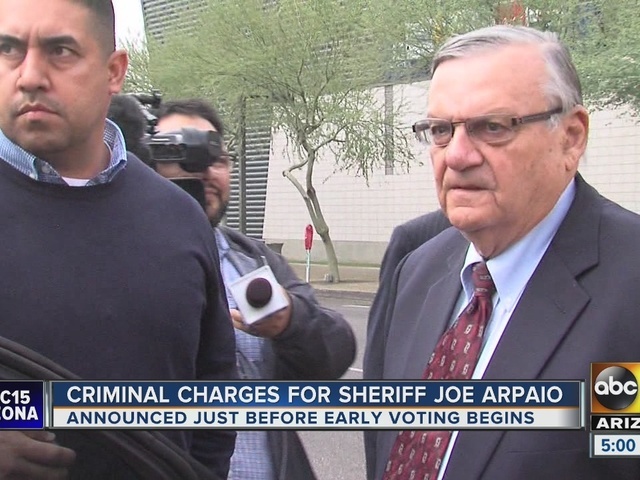 Sheriff Arpaio released the following statement on Tuesday afternoon: "First and foremost, it is clear that the corrupt Obama Justice Department is trying to influence my re-election as Sheriff of Maricopa County. It is no coincidence that this announcement comes 28 days before the election and the day before early voting starts. 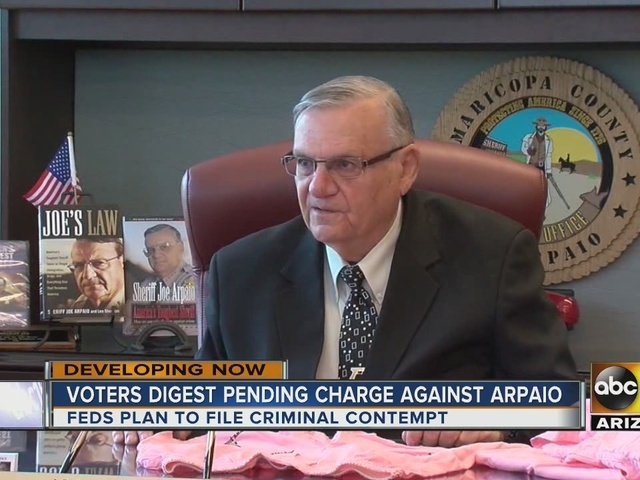 It is a blatant abuse of power and the people of Maricopa County should be as outraged as I am." 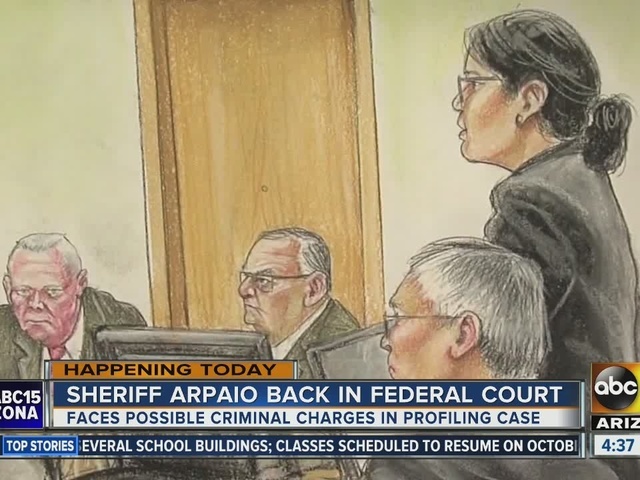 A trail date was tentatively set for December 6, but Arpaio's attorney said the case will likely move much slower than that. 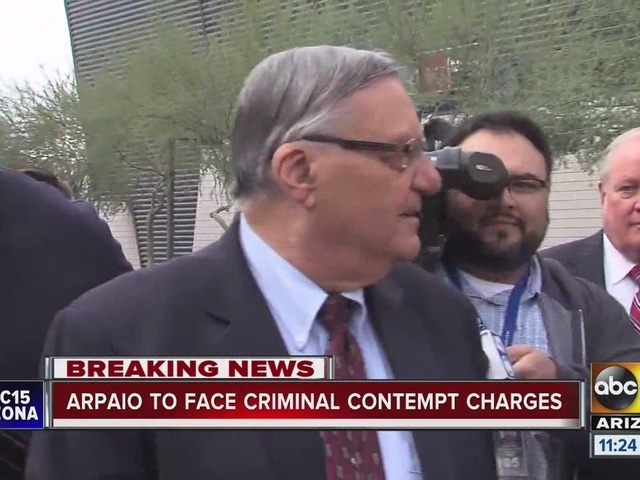 "He's not going to be arrested," Arpaio's attorney Mel McDonald said. Judge Ann Bolton also agreed to allow the sheriff to waive a future court appearance for his arraignment. "We will enter a plea of not guilty," McDonald said. "There's no need to come down here. I appreciated the judge's gesture. I think that's the way to go about it." A U.S. Department of Justice attorney told the court his agency will continuing to investigate the sheriff for possible obstruction of justice, which would be a more serious crime. "I am confident they are not going to find anything. Let them investigate," McDonald said. "No one is above the law, and today's announcement in court epitomizes the strength of the judicial system. 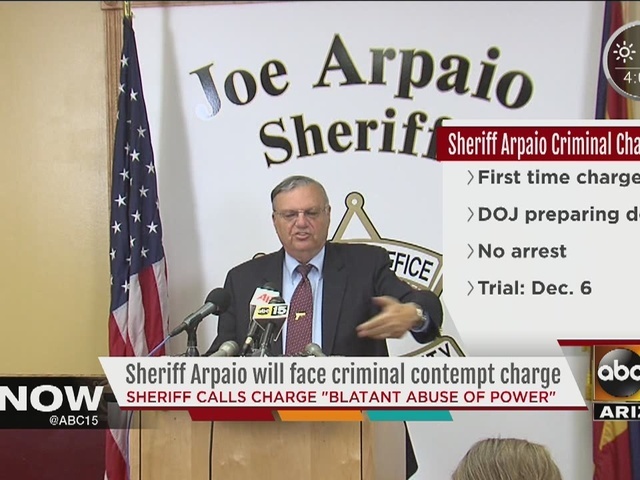 The federal courts have been responsible and ethical in the oversight of these criminal violations by Sheriff Arpaio. I have utmost confidence that our voters will make the right decision to repair the damage that has been done to our community."